IMO is an instant messenger for Android, iOS, BlackBerry OS and for many other mobile OS, that is getting popular day by day because of its good and easy video calling service. IMO is found to have been great even on low bandwidth when it comes to video calling. Apart from video calling, the messenger also offers text chat and voice calling features. Sadly, its text messaging feature is not enhanced for privacy. 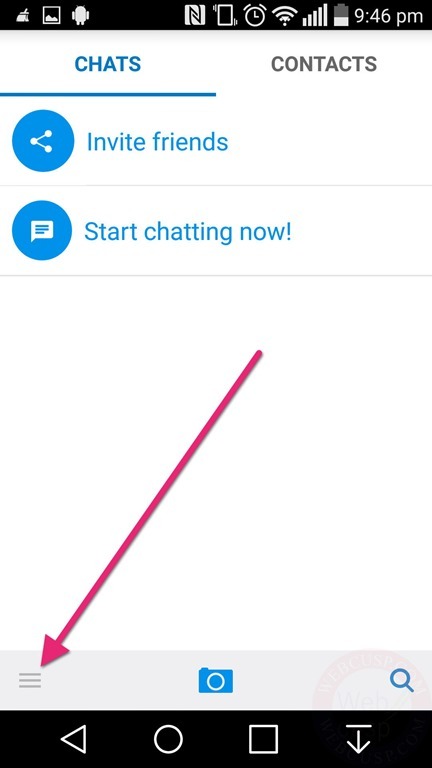 You can’t delete a particular chat and if you want to delete chat for a specific contact, you need to delete messages one by one that is awful. Additionally, unlike Whatsapp and Hike, IMO keeps your chat saved on its remote servers. 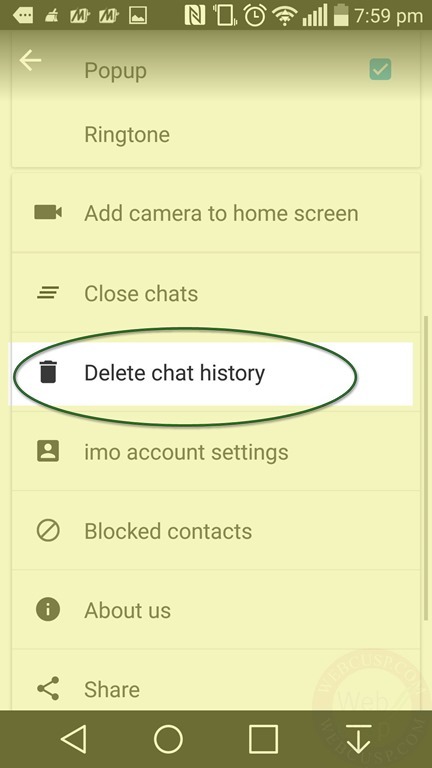 so, if you uninstall and clear IMO data on your Android device, chat history will remain backed-up on IMO servers and whenever you install IMO with the same phone number (on any device), chat history will be restored (not a good signal regarding privacy). 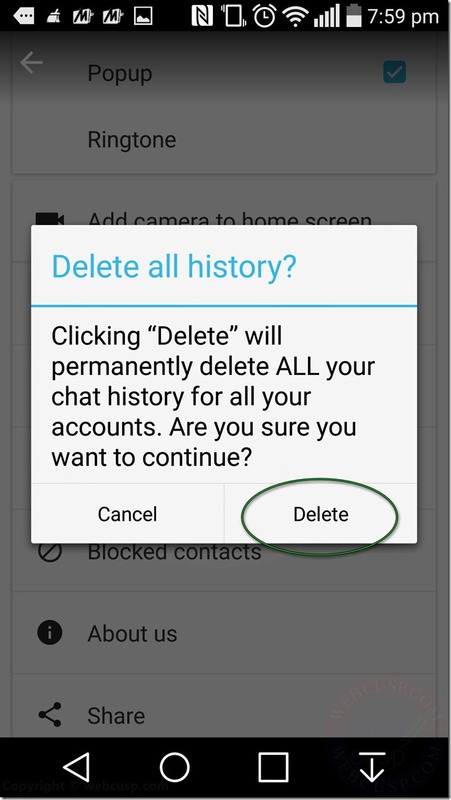 If you really need to delete some of your sensitive chats in IMO, you will have no way other than deleting all text chat history (chat of all contacts). 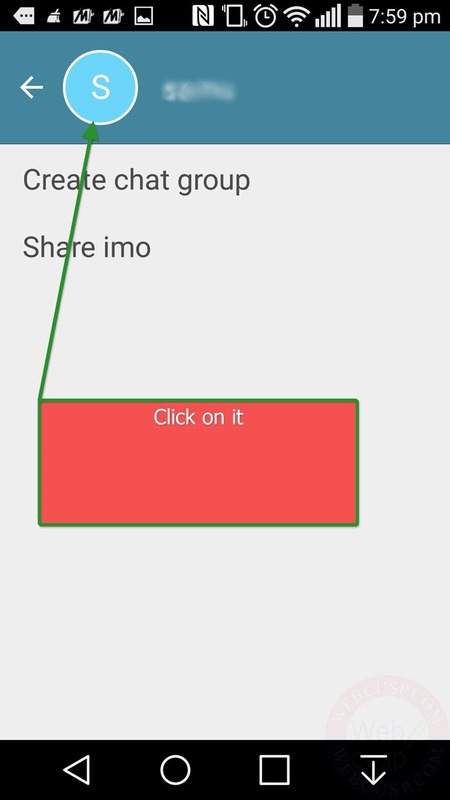 In this tutorial, I tell you how to delete chat history on IMO. Warning – This action will not delete chat history for a particular contact, but it will erase all your chat history for all contacts. It will also clear chat history from IMO remote storage. You will be then led to the IMO setting page. Scroll down the setting page to locate the option, “delete chat history.” Using this option, you can clear all chat history of your IMO account. 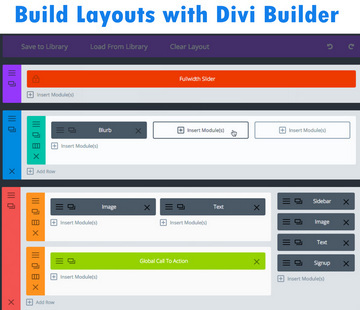 If you like this tutorial, consider sharing it on social networks and with your friends. 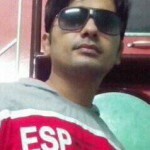 I’m chatting with my girl friend in IMO video call, its really safe or not. Because some time we chat little naughty. please advise.